iLEAD Exploration is passionate about personalized learning. By utilizing iLEAD’s program offerings, staff and vendors, families are encouraged to create a learning environment just right for each uniquely gifted learner in their home. iLEAD Exploration celebrates and fosters each child’s individuality, empowering them to discover their highest potential. Families blend rigor with creativity and flexibility to enrich their child’s learning. Our dedicated, caring and highly qualified educational facilitators partner with your family to provide encouragement, support and expertise. iLEAD Exploration also values community, providing opportunities to foster friendships through a variety of field trips, service projects, park days and parent gatherings. Welcome to the world of Exploration! Our high funding model allows families to work alongside state certified, credentialed teachers to develop a personalized learning plan customized to each learner. 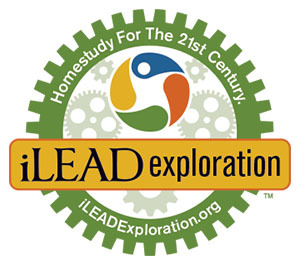 iLEAD Exploration currently offers $2,800 in instructional funding for grades TK-8, and $3,000 for high school. This allows for well-rounded curriculum choices and highly qualified instruction from a great variety of talented vendors. Our program highly values the relationship between parents, learners and our credentialed teaching staff (Educational Facilitators). We offer continuous education through our weekly Monday Message, coffee chats, over 80 field trips and service projects per year, webinars, and more!